This project has challenges. But egg-dance give the rise to interesting solutions. 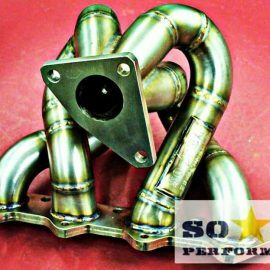 So, the intakemanifold for the engine Mustang gt500 Shelby Cobra offers to your attention. The engine is mounted on one of the fastest Ukrainian RWD vehicles – ZAZ GTR. V8, 16 injectors, boost pressure – 3 bar. Rated engine power 2,000 hp. Keep calm and believe in soaraperformance. Stay with us and have a nice day. 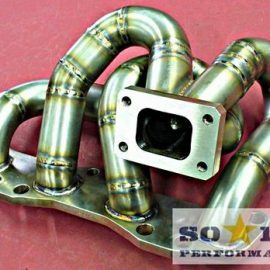 This impressive 4G63 Intake Manifold in combination with throttle body of different diameters provides huge gains in mid to top end power without sacrificing low end torque and leads to the products successful use in applications ranging from stock turbo time attack cars using SoaraPerformance intake manifold with70mm throttle bodies to, to 1000+ hp drag cars using the enlarged manifold with a monster 102mm tb. 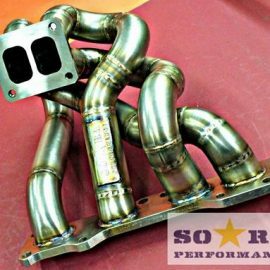 If we at Soara Performance did not produced yet something , it is simply because nobody has asked us! 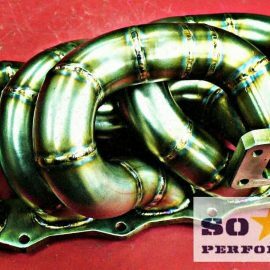 Now, exclusively for David Gavarret DGMotorsports, 350z VQ38DE long tube headers Have a nice day! 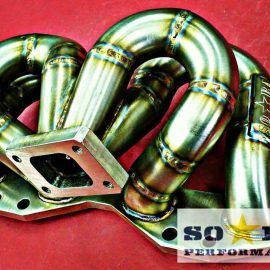 Soaraperformance tubular turbo manifold designed for the Mitsubishi EVO 8. 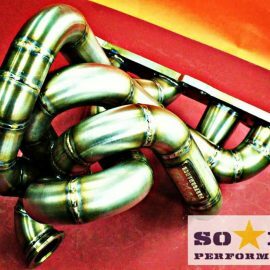 This high performance manifold is intended for tuners seeking maximum performance! 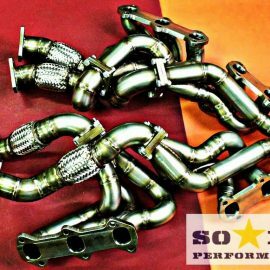 This manifold retains power steering, air conditioning, and stock radiator placement while allowing use of large turbochargers and full 3 downpipes. And again 3sgte . Now it’s vband precision bigturbo topmount For our new follower from Puerto Rico Hans R. Mercado. From Ukraine with love. Have a nice boost, gentlemen. soaraperformance team. 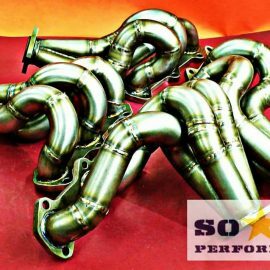 Exclusively for the fan of the Bavarian trade mark Masaaki Terashima, to Saitama, Japan e31 bmw850 v12 longtube exhaust manifolds kit. Made in Ukraine by soaraperformance. Es ist ein Auto, Baby. 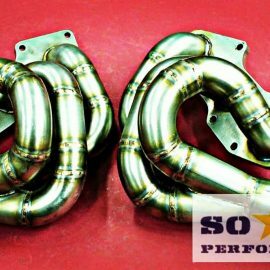 e31 bmw850 v12 longtube exhaust manifolds designed and manufactured by soaraperformance We ship worldwide. Our new project Toyota mr2 2grfe v6 bigturbo headerd. Trust in soaraperformance. We ship worldwide. Exclusively for DGMotorsports, Toulouse, France. Designed and manufactured by soaraperformance We ship worldwide. To Bern, Switzerland Roger Brunner. 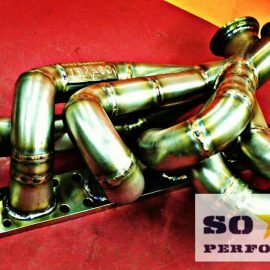 Hi quality long tube ca18det super header, quik spool and maximum power. Soaraperformance Made in Ukraine.